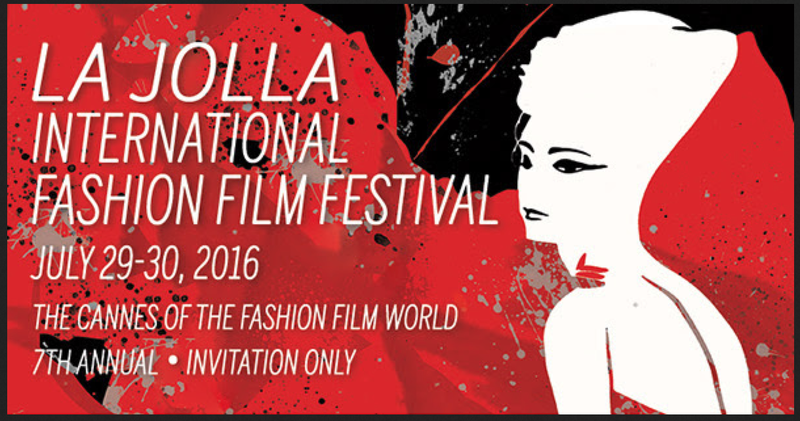 Our promotional film for 100 TWEEDS Eau de Parfum, CASE #432 receives Official Selection status for its International Premiere at the 7th annual La Jolla International Fashion Film Festival, July 29 – 30th, 2016. It is an honor to be included with such fantastic offerings from around the globe and more so to receive four nominations for “Best Creative Concept”, “Best Art Direction”, “Best Visual Effects”, and “Best Sound Design”. 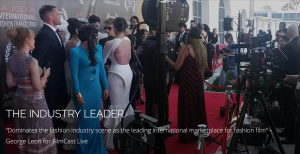 Featuring the best film makers and largest fashion brands, LJIFFF is the largest fashion film festival in North America representing the top 1% of film making in this industry. 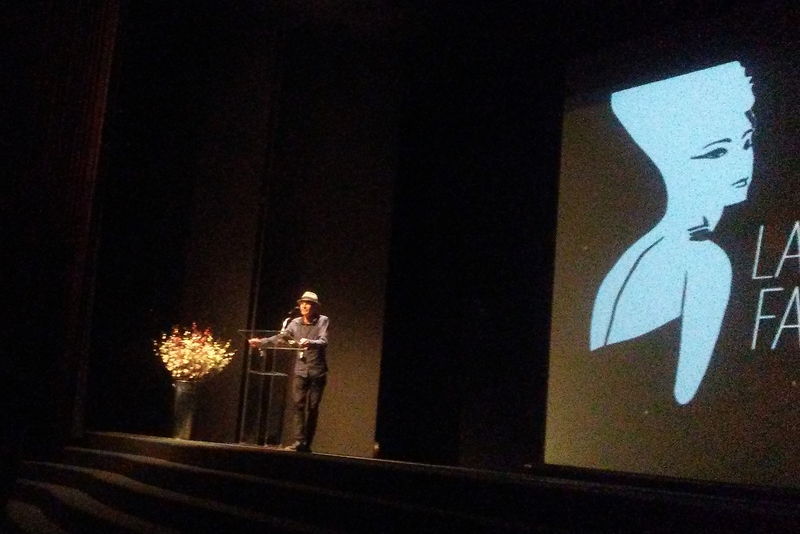 Bert Esenherz representing the team and introducing “CASE #432” at the premiere. 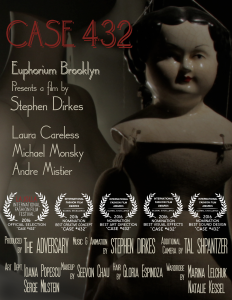 CASE #432 began its journey as a film project spearheaded by musician, the Adversary. 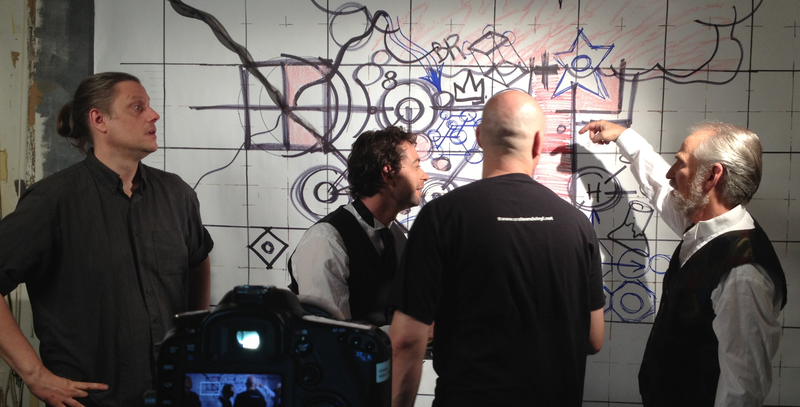 Drawing on various stop motion animation techniques and my interest in science, growing crystals, non-Newtonian liquids, and mechanical devices, the film slowly came together to tell the tale of Dr. Christian Rosenkruez’s experiments in re-animation. In CASE #432 we are brought along to participate in Rosenkruez’s research and experimentation in this homage to a 19th century documentary aesthetic through stop motion animation and live action. 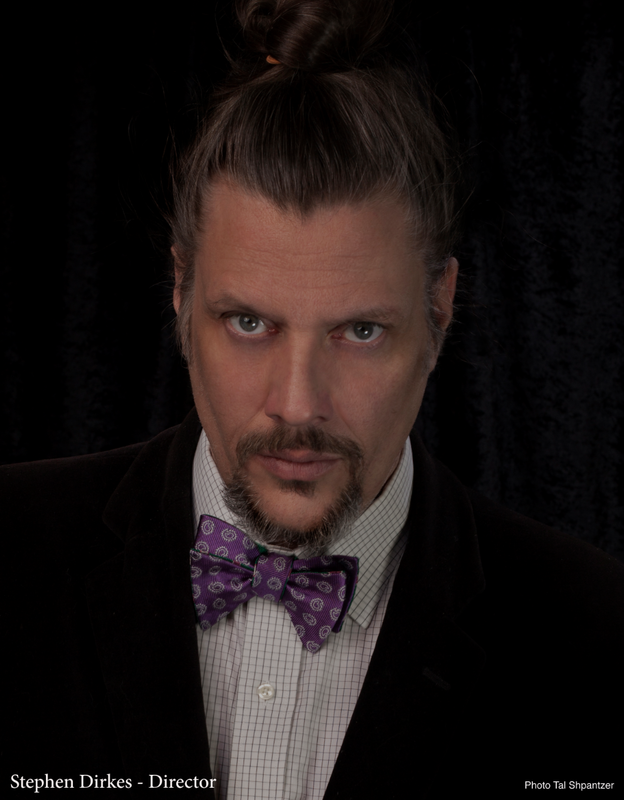 The film was shot entirely as still photos. 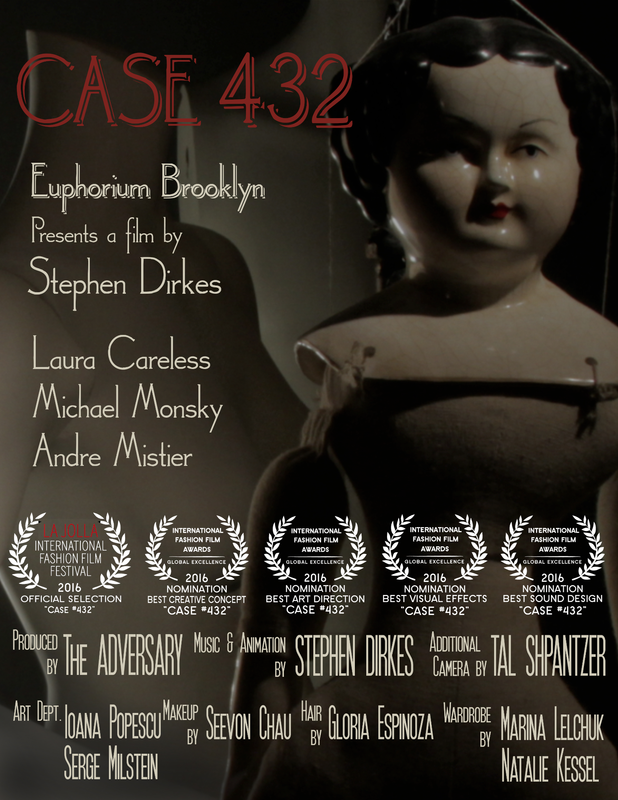 CASE #432 from stephen dirkes on Vimeo. 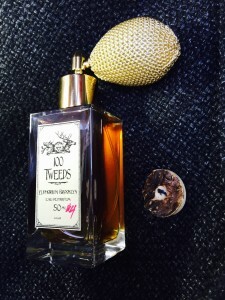 Tormented by the loss of his daughter, 19th century perfumer, Christian Rosenkruez toils to save her memory and capture her enigmatic spirit in scent. A believer in the magical and transcendental, Rosenkruez will use the tincture to animate her mechanical effigy. Tincturing the essence of 100 Tweed jackets brings him closer to the memory of his beloved daughter. Short listed for the International Fashion Film Awards, CASE #432, demonstrates how avant-garde cinema is often embraced in this niche genre of the advertising world. I have been fortunate to have had my film making premiered and awarded in the past at LJIFFF. 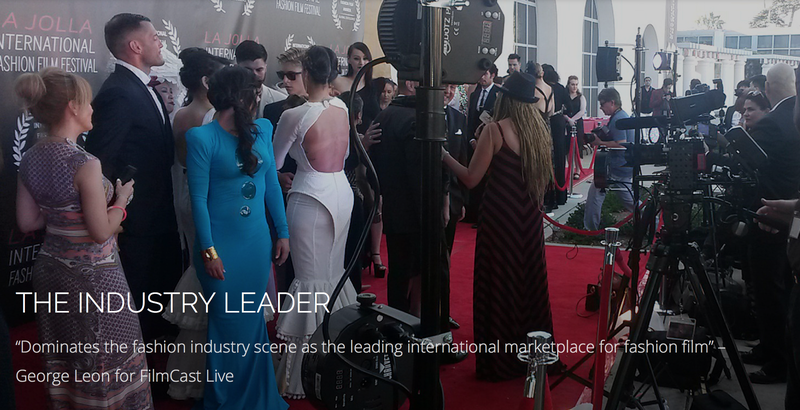 Both a supporter of the industry and a fantastic community builder, LJIFFF is the largest international fashion film marketplace. 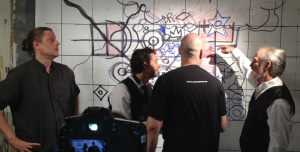 Learn more about director, Stephen Dirkes and “CASE #432” in this interview for Fashion News Live by Angie Andera.